1. 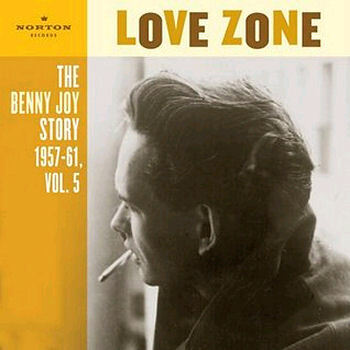 Joy, Benny Love Zone [unissued] uniss. 2. Joy, Benny Instead of Me [unissued] uniss. 3. Joy, Benny I'll Never Have The One I Love [vers. 2] [unissued] uniss. 4. Joy, Benny Only Time Will Tell [vers. 1] [unissued] uniss. 5. Joy, Benny ( What'll I Do) Call the Zoo [unissued] uniss. 6. Joy, Benny Follow Your Heart [unissued] uniss. 7. Joy, Benny I Never Want to See You Again [unissued] uniss. 8. Joy, Benny Eyes of Tears [unissued] uniss. 9. Joy, Benny Bring Me Back My Love [unissued] uniss. 10. Joy, Benny Only Time Will Tell [vers. 2] [unissued] uniss. 11. Joy, Benny Forever, Now or Never [vers. 2] [unissued] uniss. 12. Joy, Benny How Could Someone So Good Turn out So Bad? [unissued] uniss. 13. Joy, Benny Give Me Back My Heart [unissued] uniss. 14. Joy, Benny Queen Of My Heart [unissued] uniss. 15. Joy, Benny Touchdown [unissued] uniss.